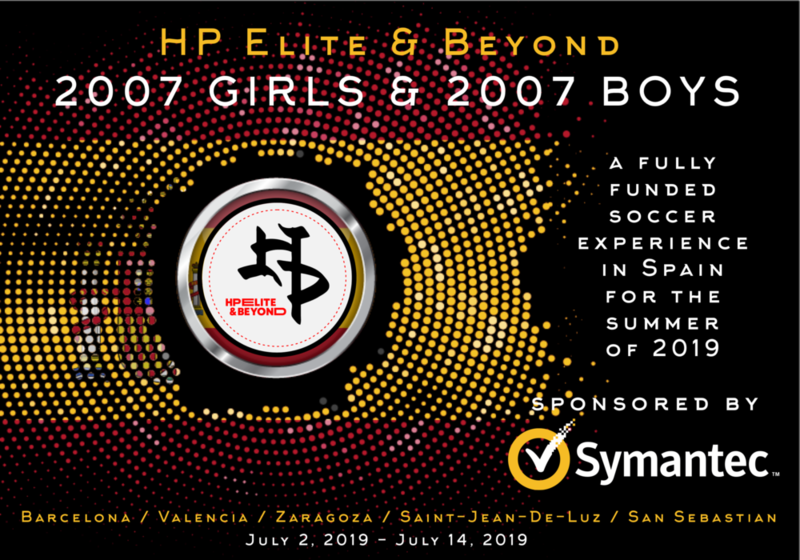 HP Elite & Beyond is excited to announce a fully funded cultural and soccer experience in Spain for the Summer of 2019 sponsored by Symantec - global leader in next generation cyber security. The soccer tour of Spain will include exploring Barcelona, Valencia, Zaragoza, Saint-Jean-De-Luz (France), and San Sebastian. The select teams will play friendly matches with local clubs in Spain, visit FC Barcelona’s stadium (Camp Nou), and conclude with competition in the world renowned Donosti Cup in San Sebastian. Q - Does my son/daughter have to attend tryouts? Q - My son/daughter is a Goalkeeper, but they have never trained with HP Elite & Beyond, can they still tryout? Q - My son/daughter currently plays on a US Development Academy team, is he eligible for the trip? Q - My son/daughter will be trying out for US Development Academy team for 2019-2020 season, is he eligible for the trip? Q - Will training sessions for the trip conflict with my son/daughter’s current team schedule? All other questions and info will be presented at the informational meeting on Sunday, October 14.